The first extended study of the renowned artists’ collective Fluxus, Corporate Imaginations examines the group as it emerged on three continents from 1962 to 1978 in its complexities, contradictions, and historical specificity. 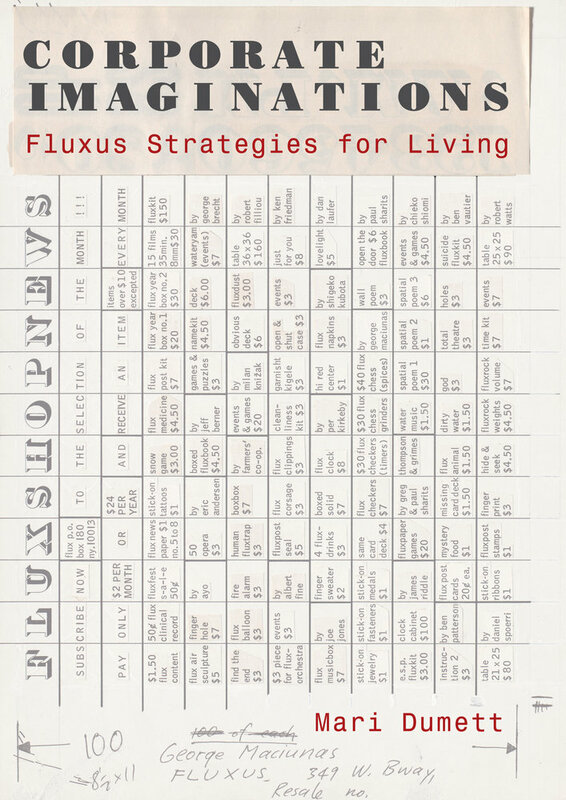 The collective’s founder, George Maciunas, organized Fluxus like a multinational corporation, simulating corporate organization and commodity flows, yet it is equally significant that he imagined critical art practice in this way at that time. For all its avant-garde criticality, Fluxus also ambivalently shared aspects of the rising corporate culture of the day. In this book, Mari Dumett addresses the “business” of Fluxus and explores the larger discursive issues of organization, mediatization, routinization, automation, commoditization, and systematization that Fluxus artists both manipulated and exposed. A study of six central figures in the group—George Brecht, Alison Knowles, George Maciunas, Nam June Paik, Mieko Shiomi, and Robert Watts—reveals how they developed historically specific strategies of mimicking the capitalist system. These artists appropriated tools, occupied spaces, revealed operations, and, ultimately, “performed the system” itself via aesthetics of organization, communication, events, branding, routine, and global mapping. 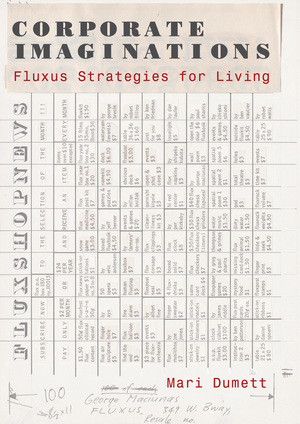 Through “corporate imaginations,” Fluxus artists proposed “strategies for living” as conscious creative subjects within a totalizing and increasingly global system, demonstrating how these strategies must be repeated in an ongoing negotiation of new relations of power and control between subject and system. Mari Dumett is an art historian and arts and culture writer living in New York City. She teaches at the Fashion Institute of Technology, SUNY, and the Institute for Curatorial Practice in Performance at Wesleyan University.